99% of computers are vulnerable to exploit kits. Why? Because almost everybody has downloaded Adobe Reader, Adobe Flash or Java. This highlights one thing: networks are extremely difficult to secure against attack. One thing you can do is be aware. There are threats everywhere in life. But being aware of the right threats at the right time will help you prepare and fend off any attack. Today we’re going to talk about a few network security threats blooming in 2019. When you can’t get in through the walls, why not attack the foundation? This is what more intentional cybercriminals are attempting these days. They’re no longer focusing on attacking from the outside, they’re attacking at the development stage. If you were to attack a fortress years down the road, you could hire someone to mess up on one part of the wall. You’d then know where the weak point was later on. This is essentially what cybercriminals are doing more often now. They attack development companies with malware and foment weak points in software. Software is becoming more complex by the day. It’s difficult to find all the vulnerabilities at by launch. When cybercrime happens at the development level, this increases the chances vulnerabilities will be there. 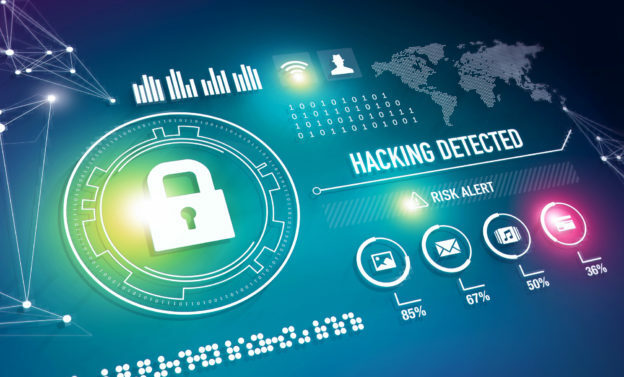 As 2019 continues, we’ll see an uptick in attacks through third-party applications. These will be the back channels into your network. This is why you need to be vigilant when employees install software. If you have any kind of computational power in your computer or network (think high-end graphics cards) crypto jacking could happen to you. In the past two years, cryptocurrency exploded. And the way you mine crypto is through computer computational power. Graphics cards went up in price because people were buying computer parts just to mine cryptocurrency. That was the legitimate way to mine crypto. The illegitimate way to mine crypto is to use other people’s computers without their permission. This is called crypto jacking and it’s ugly. Cryptojacking will slow down systems and disrupt user endpoints. Even though 2019 will see a dip in crypto profits this year, the trend will continue as it’s not risky for the attacker and still profitable. This is a form of attack that happens when you visit an internet site. You’ve done nothing wrong. All you’ve done is visit a malicious site unknowingly. How does this happen? Through your browser, coincidentally. It’s malware that takes advantage of vulnerabilities in your browser software. If you don’t shore those up by keeping the browser up to date, you’re vulnerable to attack. Admin, password. Those are the two words commonly the defaults for any wifi router or network box. And most businesses don’t even know they can or should change those passwords. You could be completely locked out of your network if you don’t secure it at the gates. But what’s worse? When people use other vulnerabilities to get into your network and stay there. These could even be friends of people in your company. This is why there needs to be a strict password hygiene system in place to prevent trojan-horse-like attacks from hitting your network. The best way to ensure your network is secure against network security threats is to hire the best. Contact us to find out what solutions we can implement in your business and keep you secure.